The Better Business Bureau (BBB) and the IRS are warning consumers about the return of tax scam season. We’ve talked about this before in 2015 and 2016—and that advice is still valid. However, there are two new scams making the rounds this year you need to watch out for. The email message asks you to verify the information listed on the W-2 by clicking a link to a “secure” file shared using a reputable file sharing service. Rather than taking you to your W-2, the link could download malware on to your computer, or take you to a fake site designed to steal your information. Here, scammers do some homework and find out the names of company executives or the head of the payroll department. Armed with that information and using a technique called business email spoofing, they pose as that person over email. The IRS says the email may start innocently enough by asking, “Hi, are you working today?” but eventually the fraudster asks you to send a copy of your current W-2. 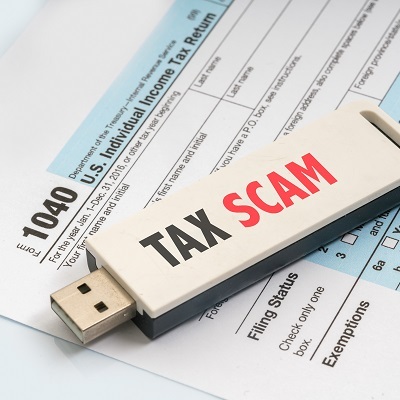 With the information, the criminals can file a tax return (keeping any and all refunds), request a wire transfer, and/or sell the your data on the Dark Web. 1. Don’t click email links! Clicking on them could infect your computer with malware or take you to a fake third-party site designed to steal your information. 2. Hover over links. If the email has a link, hover your mouse over it to reveal its true destination. If something seems fishy (or phishy, as the case may be), don’t risk clicking on it. 3. Don’t open unsolicited emails. If you haven’t asked to be contacted, or don’t know who sent the email, put it straight in the recycle bin. 4. Be very, very careful about sharing personal information. Even if the email looks real, it might not be. And, don’t share your bank account, credit card, or social security data to anyone you don’t know personally. Personalized scams: made just for you!